The EU e-skills strategy, based on the European Commission‘s Communication “e-Skills for the 21st Century: Fostering Competitiveness, Growth and Jobs” (2007), has been a major component of the drive to boost competitiveness, productivity and innovation capability of European enterprises. It helps to improve framework conditions for innovation, growth and new digital jobs, and recommends that the knowledge, skills, competences, and inventiveness of the workforce are constantly updated through effective lifelong learning. In 2013, the European Commission launched a „Grand Coalition for Digital Jobs“ to intensify and accelerate the efforts to fill the digital skills gap. Building on the positive results of the Grand Coalition for Digital Jobs 2013-2016 and the EU e-skills strategy, and in coordination with the work under Education and Training 2020, The Commission will bring together Member States and stakeholders, including social partners, to pledge action and to identify and share best practices, so that they can be more easily replicated and scaled up. It will improve the dissemination of information about available EU funds (European Structural and Investment Funds, Youth Employment Initiative, Erasmus+ etc.) and explore possible funding opportunities for example through voucher mechanisms. The Commission will monitor progress annually through its Europe’s Digital Progress Report (EDPR). Establishing national digital skills coalitions connecting public authorities, business, education, training and labor market stakeholders. Developing concrete measures to bring digital skills and competences to all levels of education and training, supporting teachers and educators and promoting active involvement of business and other organizations. We encourage all interested stakeholders to join the Digital Skills and Jobs Coalition and make pledges for concrete short-term actions, forming or joining National or Local Coalitions for Digital Jobs, or participating in our events workshops and meetings to share success lessons and best practices. 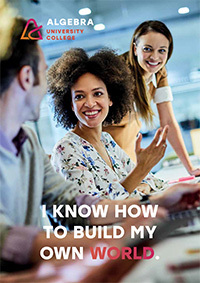 In June 2016 the European Commission adopted the new and comprehensive New Skills Agenda for Europe in which it proposes 10 actions to be taken forward over the next two years, some of which have just been launched. It includes the Commission leading the movement towards a European long-term agenda on ‘Leadership skills for a high-tech economy’. This is developed in close collaboration with leading stakeholders and will include concrete recommendations for action at EU and national level to build up the supply of a comprehensive range of e-leadership skills and ensure their future optimal availability throughout European enterprise. All experts will meet at a high-profile conference on 26 January 2017 in Brussels where the final results are expected to become available. The new agenda to be elaborated is to take digital education and entrepreneurship policies fully into account, address labor market disruptions resulting from ICT developments and integrate new analyses of leadership skills for liberal professions such as doctors and lawyers, be broad enough to exploit synergy with emerging leadership skills requirements in businesses exploiting Advanced Manufacturing Technologies and Key Enabling Technologies, and is to be explicitly international in scope.